The latest Moonwatch limited edition is the CK2998, a remake of the 1959 Speedmaster; a modern watch with a vintage flavour. 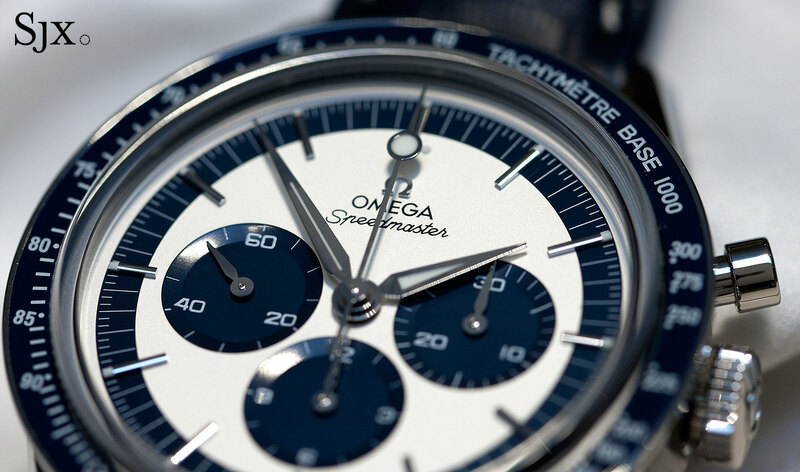 Omega makes many Speedmaster limited editions – the emphasis on “editions” and not “limited” – so you can have the Moonwatch with Snoopy, in titanium, in “racing” livery, and so on. Yet such watches are easy to like, for three reasons. 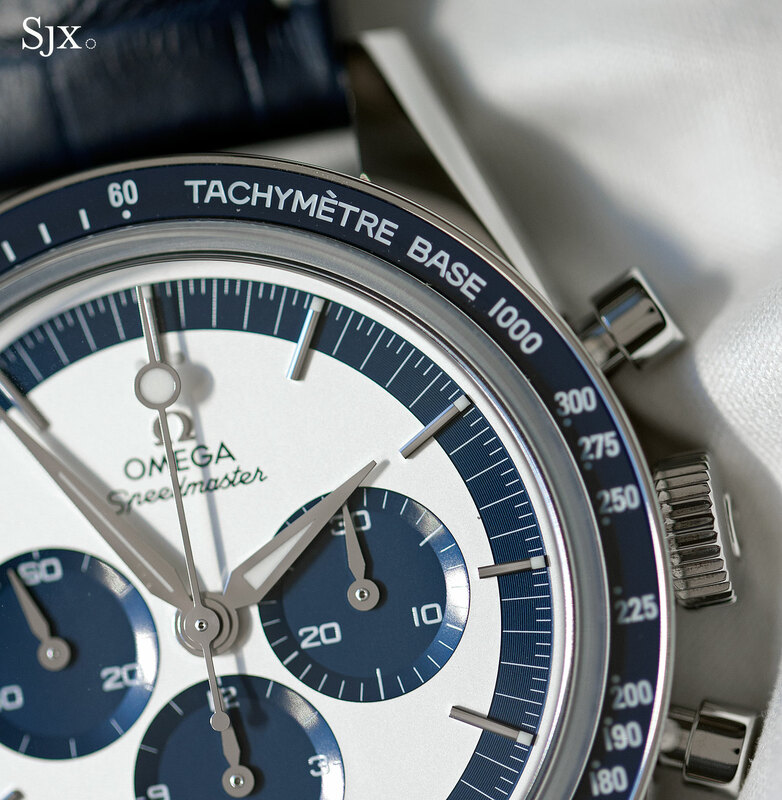 The biggest is the Speedmaster name, it’s a Speedmaster – the watch that went to the moon – and that will never get worn out. Second, despite the many iterations the look hews closely enough to the original to be recognisable. And of course it helps that they are generally affordable, relatively speaking. The Speedmaster Moonwatch CK2998, fresh from Baselworld 2016, is yet another limited edition, but it’s likeable for those very reasons. 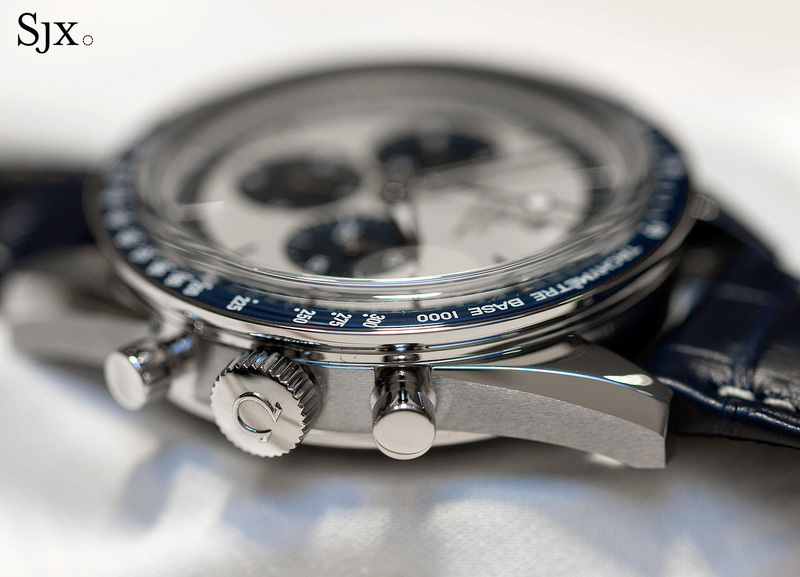 Modelled on the original Speedmaster CK2998, the reissue has the styling of the original, but with a modern colour scheme as well as better materials. Introduced in 1959, the CK2998 was the second Speedmaster model; the first being the exceptionally valuable CK2915, which, as sure as the Speedmaster went to the moon, will return as a limited edition remake one day. The original CK2998 has several crucial elements that characterise it: lance-shaped “alpha” hands, the “Base 1000” tachymetre bezel, a “lollipop” seconds hand, and straight lugs. All of them have made it into the reissue. Notably the new CK2998 has a more nuanced finish than the original, a common feature of modern remakes given better manufacturing technology (and also far higher prices after adjusting for inflation). The minute track on the outermost edge of the dial, for instance, is finished with a fine concentric guilloche that’s invisible except up close. 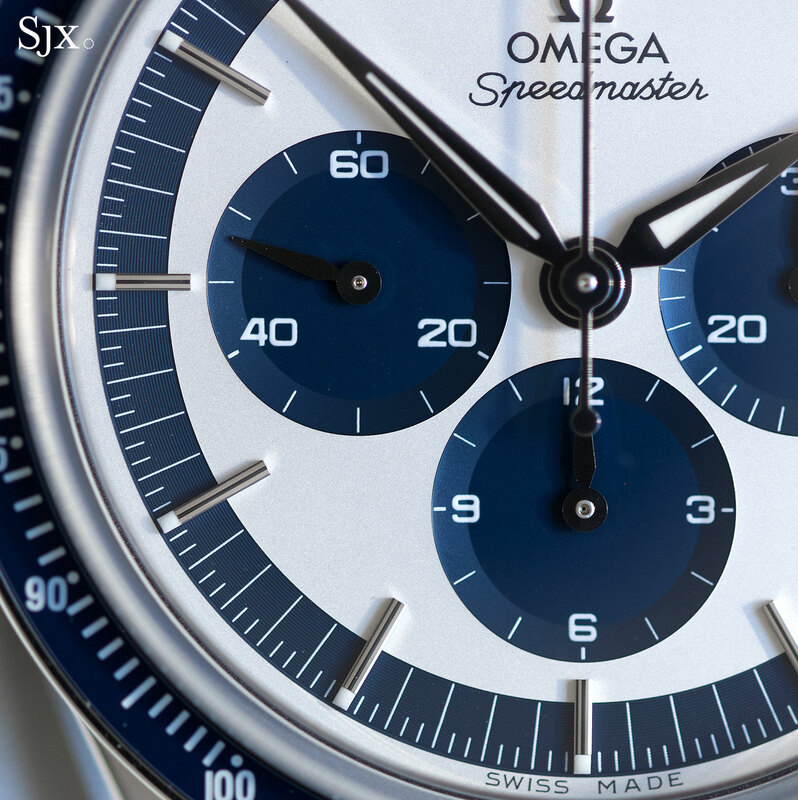 All the baton hour markers are polished and applied to the dial; ditto for the Omega logo. The blue bezel insert is fade-resistant ceramic that’s been engraved and filled with Super-Luminova so its markings glow in the dark. And the sapphire crystal is “box-form”, meaning it rises above the bezel with a slight domed profile, a shape that costs notably more than an ordinary flat crystal. More importantly, it looks more congruent with the retro style, since it approximates the look of a mineral crystal while being scratch-resistant. 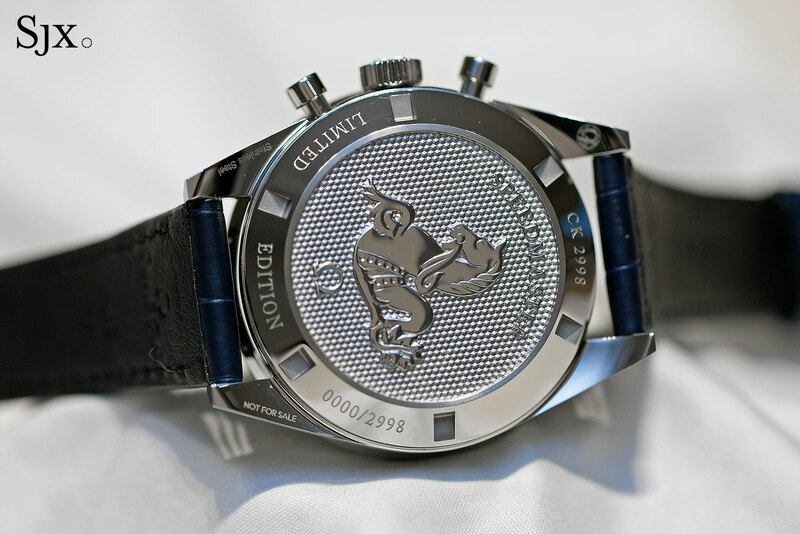 The steel case is 39.7 mm in diameter with straight lugs and a 19 mm-wide strap, just like the original. 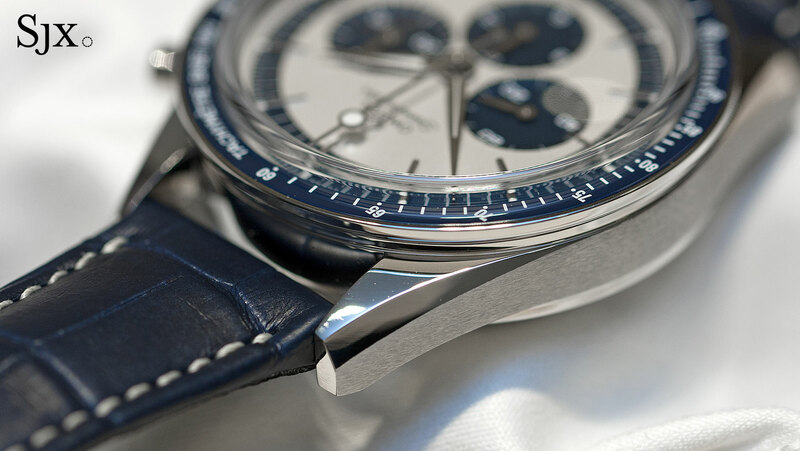 But it has the precise finish that’s distinct to modern watches, with brushed flanks and polished top surfaces. The case back, on the other hand, is a modern addition, embossed with a hobnail finish and a relief Speedmaster seahorse logo. Underneath the case back is the Omega calibre 1861, the hand-wound movement that’s found in the basic Moonwatch models. 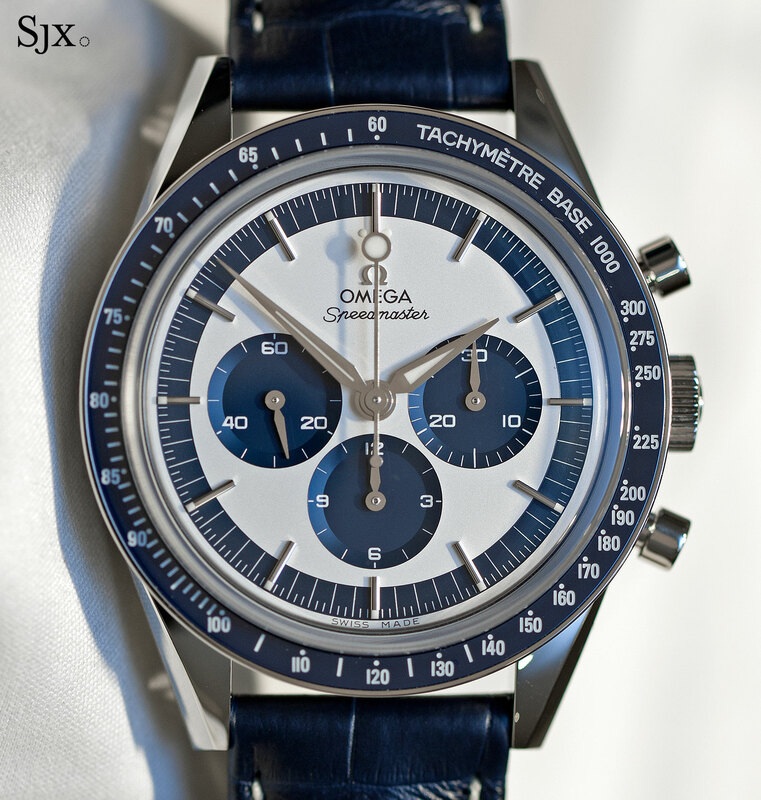 Made by Lemania as the calibre 861, it powered the Moonwatch starting in 1968, and has continued, with minor upgrades, since then. If it ain’t broke, don’t fix it. 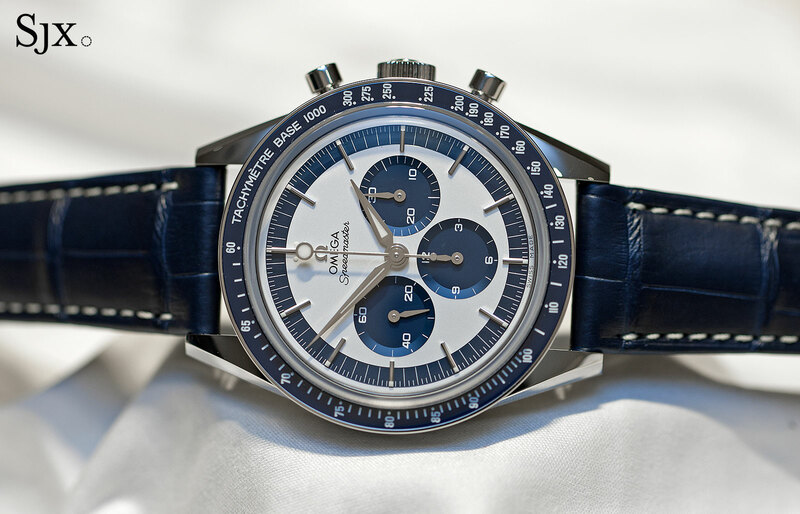 The Speedmaster Moonwatch CK2998 is limited to 2998 pieces and will hit stores in July 2016. The retail price is US$6500, while in Singapore it’s S$8400.